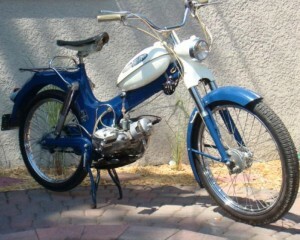 Sears stores sold the Allstate line of motorcycles from 1954 to 1968. Of course, Sears does not make the products they sell. 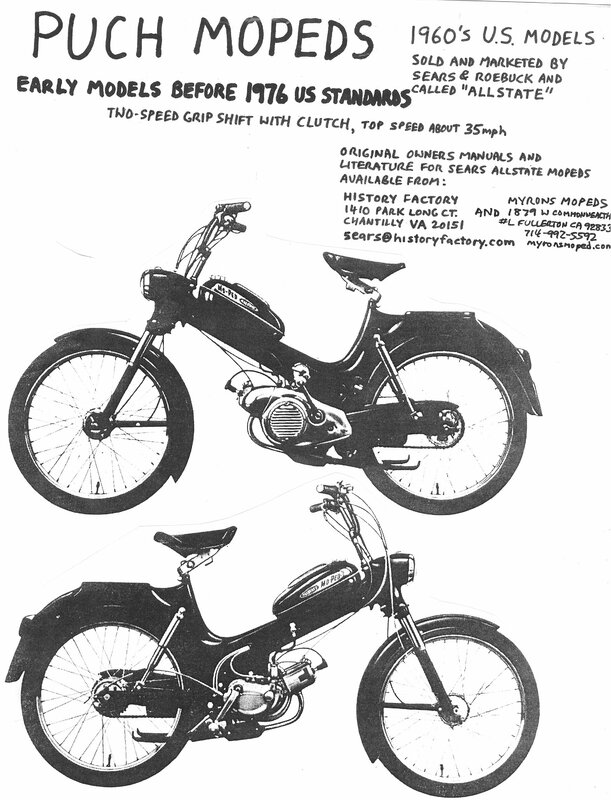 The Sears Allstate 50cc Mo-Ped was made by Puch. 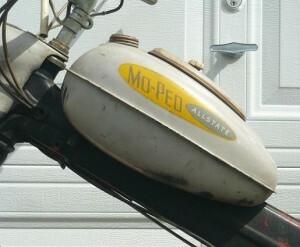 The Sears Allstate 125cc scooter was made by Vespa. The Sears Allstate 250cc motorcycle was made by Puch (nicknamed Puch Twingle). There was also Allstate insurance, automobiles, tires, auto parts and accessories, garage door openers, fire extinguishers, and other products with that name. Some Sears Allstate Mo-Ped (and early Puch or Tomos compatibles) parts can be found at Motor West Motorcycles in Milwaukee Wisconsin USA: http://motorwestmotorcycles.com/. You are currently browsing the archives for the Sears Allstate category.